A decade ago in a speech titled The Way Ahead, Malcolm Turnbull labelled negative gearing "tax avoidance". Tellingly, he observed that "every tax deduction, once created, develops a constituency which will fight to defend it". What a long way he's come. This week, he became a spruiker for the tax-subsidised end of the real estate industry. He even repeated its lines. The Property Council is pushing around a blackmail sheet listing the number of negative gearers in each electorate and how many votes it would take to change hands. In Parliament Turnbull used it against Labor's Chris Bowen. "There are nearly twice as many people in his electorate who are negatively geared as there are votes needing to change hands for him to lose his seat," he warned. "He should think about that." Turnbull feels able to decisively side with the property industry against Labor in part because he has finally narrowed his options. He was right when he said "increasing capital gains tax is no part of our thinking whatsoever". He and his inner circle have narrowed their options to, not much, really. 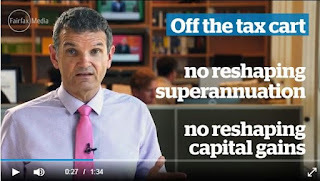 Superannuation. They've carefully considered and rejected the radical concept of taxing super contributions at the marginal rate minus a discount. The change would have meant that instead of paying the 15 per cent tax on super contributions, most high earners on the 45 per cent rate would have paid 30 per cent, if the discount was 15 per cent. The accounts of low earners on a zero rate would have received a 15 per cent top up. It's a measure of how far the tax debate had moved under Turnbull that the super industry had embraced the concept, arguing only over the size of the discount. Turnbull sought a briefing about the idea from one of its authors, Chris Richardson of Deloitte Access. Turnbull and his senior colleagues baulked at the idea because it would have made some middle earners (slightly) worse off. Australians on the 32.5 per cent tax rate would have found themselves paying 17.5 per cent. The small increase would have been visible on their statements when the funds paid the extra 2.5 per cent after their salaries had been reported at the end of the tax year. They took the view that complex change was a bad idea in an election year, all the more so if it could be portrayed as an extra tax on ordinary Australians. Instead they have decided to tighten the caps on how much an individual can contribute to super at the subsidised rate. The present very high cap of $30,000 per year ($35,000 past the age of 50) troubles exceptionally high earners only. The Grattan Institute wanted it cut to $11,000, an amount it said would still allow comfortable retirements while improving the budget bottom line by $3.9 billion a year. Turnbull and colleagues are looking at a less severe cap of around $20,000. They will also wind back the separate outrageously high annual cap of $180,000 on so-called non concessional contributions that still get access to a low or zero rate within funds. The earnings of funds won't be touched. Payouts for most retirees and earnings within their funds will remain untaxed. Capital gains tax. The existing concession whereby half of each capital gain is exempt from tax (and three quarters for small businesses) is safe. Turnbull and colleagues know that it makes little sense when other types of saving are fully taxed (including bank interest, as pointed out by their tax discussion paper) but they've decided against a more level set of concessions on the ground that it would create losers as well as winners. Tax deductions. Although Turnbull and colleagues are about to receive the report of a House of Representatives inquiry into tax deductibility, they have formed the preliminary view that the rules are so complex (and popular) that they would make enemies if they tried to simplify them, even in order to fund a tax cut. Bracket creep. Treasurer Scott Morrison wants to deliver a tax cut to the 25 per cent of workers earning more than $80,000 and paying at least 37 cents in the dollar on the ground that an extra 300,000 will join their ranks over the next two years. He will attempt to move the threshold a bit beyond $80,000 using the extra tax that should flow from the tighter caps on super contributions and negative gearing. While he will face criticism for attempting to redress bracket creep only for high earners, he will be able to rightly point out that it will be extremely high earners who will fund the attempt by losing concessions. He and Turnbull will have delivered on their promise to make the tax system (a bit) fairer. Company tax. Turnbull and Morrison may yet announce a target for cutting the 30 per cent company tax rate, but it wouldn't bite for years. It would serve as a signal to overseas investors. They will have lived up to nothing like the ambition of Tony Abbott who in opposition promised a comprehensive tax white paper saying it would finish the job the Henry Review started and Labor squibbed. Turnbull and colleagues have squibbed it themselves partly because they've discovered that people are much better able to understand who wins and who loses than they used to be. Even though for two years their Coalition has withheld from the Budget the table that shows who wins and who loses, the details are easy to find. Turnbull and his colleagues are terrified of offending the public and they certainly don't want nasty details discovered in the lead-up to the election. Fixing the Senate voting system is good, but it isn't enough. Unless Malcolm Turnbull goes further and also fixes the rules governing the Parliamentary Budget Office, the election will be a charade. Here's what happened last time. The Coalition (then in opposition) released policy after policy, which it said had been fully costed by the PBO. But it didn't release the actual costings. In effect, it verballed the PBO. The Office assigns each of its costings a reliability rating on a scale ranging from "low" to "highly reliable". Where the costing is unreliable, it says why. And it sets out the assumptions it used to derive it. While keen to lend the authority of the PBO to its claimed costings, the Coalition, for the most part, sat on the documents that would have allowed us to understand what they meant. It was happy for the public to pay for the PBO ($7 million per year) so long as the public couldn't read what it had written. Now Labor is doing it. It's now in opposition and it is misusing the PBO in the same way that the Coalition did. It has released policies on negative gearing, capital gains tax, superannuation, tobacco tax and school funding, all quoting what it said were the PBO's conclusions but without releasing the documentation needed to assess them. The Greens have no such reluctance. They often release PBO costings with policies. They've no reason not to. Labor says its negative gearing policy would raise $32.1 billion over a decade. But without knowing whether the PBO regarded the figure as reliable and without knowing how it got it, its claim is difficult to assess. It can and should be fixed by requiring the PBO to release each costing (just the final document, no drafts) as soon as the party that commissions it made the costing figure public. It'd hurt the opposition (whoever is in opposition) but it would make the election make sense. We would be better able to decide who to vote for, as well as better able to fill in the form. I've never complained about being pushed into higher tax brackets. In fact I've been quite pleased. I've seen it as a sign that I've made it, that I've moved up another notch. And it has never meant that I've paid much more tax. Work it out for yourself using the $80,000+ tax bracket. Put to one side the Medicare levy. If you had been earning $79,000 and then got paid $81,000, the tax rate on the last few dollars you earned would climb from 32.5 to 37 per cent. But that doesn't mean you would pay 37 per cent of your wage in tax, or anything like it. It would mean your total tax bill would climb from $17,222 to $17,917. As a proportion of your (higher) salary it would climb from 21.8 per cent to 22 per cent. It would be barely noticeable, but it would give you bragging rights. And the strange thing is it would happen whether or not you moved into a higher bracket. Imagine you had been earning $75,000 and then got $77,000. You wouldn't change brackets but your tax bill would climb from $15,922 to $16,572. As a proportion of your salary it would climb from 21.2 to 21.5 per cent. Tax rates go up as income climbs whether or not people change brackets. The phenomenon shouldn't even be called bracket creep. It happens because the more we earn, the more the proportion of our salary in the tax-free zone shrinks. "Crossing the threshold" matters symbolically but not practically. But don't tell the Coalition, or talkback radio. 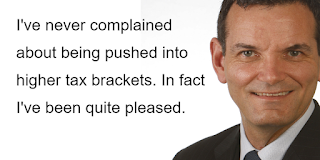 Here's Ray Hadley on Monday: "It is very hard to explain to people so-called bracket creep ... it simply means that people who were formerly taxed at the lower income rate through no fault of their own go on to the next income rate, taxable rate, and they are paying a lot more tax." Here's Scott Morrison, agreeing with him: "Next year if you are on the average wage, you are going to go onto the second-highest tax bracket ... if we don't change the personal income tax rates you will end up paying more." 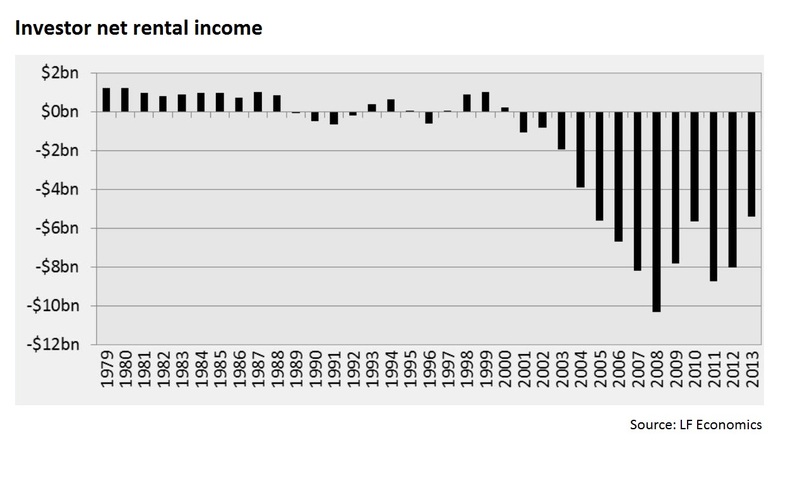 "Income tax has become the silent tax for many Australians, particularly young Australians. When they go to the automatic teller machine to draw out their cash they do not see, as they do with the GST on their sales receipt, the 19 cents or 32.5 cents or 37 cents or 45 cents that has been deducted in income tax, let alone the extra 2 cents for the Medicare levy. They just take the cash." Given enough time, bracket creep could hurt. But just at the moment wages are growing at their slowest sustained rate in memory. Many of us would welcome bracket creep if it meant actually getting a pay rise. It's as if the Treasurer picked up a script about the dangers of bracket creep and decided to use it just as if it mattered the least, a bit like Eric Abetz warning of a "wages explosion" as wage growth collapsed. What's worrying is what he plans to do about it. Bracket creep hurts low-income taxpayers more than high income ones, yet Morrison says he is "deeply troubled" by the fate of those about to move into the $80,000 tax bracket. He "may be able to prevent that outcome going forward". It sounds as if he wants to adjust the $80,000 threshold to help them and leave the bottom three quarters of taxpayers alone. The prime minister assures us that fairness will be at the heart of everything he does about tax. It would be good if Morrison ensured that it was. It's the myth that keeps going round, in part because it contains an element of truth. "Two-thirds of the people who use negative gearing currently have a taxable income of $80,000 or less," Treasurer Scott Morrison told Sydney radio station 2GB on Monday. The figure makes it sound as if negative gearers aren't particularly well off, which is why the Property Council started circulating it. It's genuine as far as it goes. It comes from the Tax Office. But it's not what it seems. Note the use of the words "taxable income". The figure of $80,000 is what two-thirds of the people who use negative gearing manage to reduce their taxable income to as a result of negative gearing. 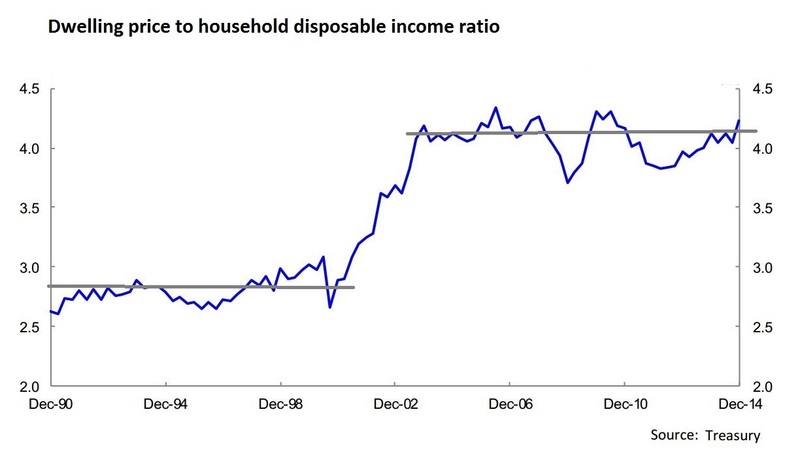 Before negative gearing, their incomes were higher, in some cases far higher. The same figures show an astonishing number of negative gearers report taxable incomes of $10,000 or less. They would make no sense if that was what the negative gearers actually earned (what bank would lend to them?) but they make a lot of sense if they had used negative gearing in order to push their taxable incomes below $10,000. The word "chutzpah" is often illustrated by the joke about the the boy on trial for murdering his parents who begs the judge for leniency because he is an orphan. It's funny because the boy has done it to himself. 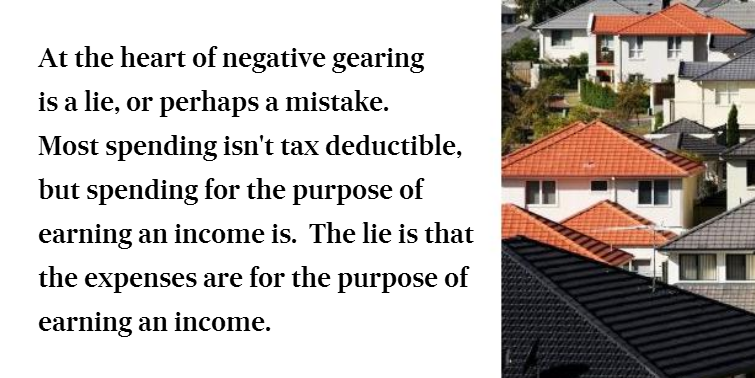 Most negative gearers appear to be less well off than they are because they have used negative gearing to do it, sometimes to absurd lengths. Labor has dug into the same figures and discovered that 64,000 negative gearers report taxable incomes of less than zero. No one, certainly not the Treasurer, would believe they actually earned less than zero. There may well be good arguments for retaining negative gearing. The apparent poverty of negative gearers is not one of them. Melbourne has pipped Sydney to become Australia's fastest-growing city, but risks a "lost decade" after years of underinvestment in public transport. The latest spatial breakdown of economic growth produced by SGS Economics and Planning puts Melbourne at the top of the pack at 3.1 per cent, a growth rate exceeded only in regional Western Australia and the Northern Territory. Sydney's economy is growing at 3 per cent, Brisbane's 0.9 per cent and Perth's 0.3 per cent. Adelaide is growing faster than the other second-tier capitals at 2.1 per cent, Canberra at 1.4 per cent, and Tasmania (no separate results are calculated for Hobart) at 1.6 per cent. But regional Victoria is languishing. Away from Melbourne the calculations put Victorian growth at just 0.3 per cent, a rate that fails to cover population growth, meaning income per person is going backwards. "It's been a bad year for both manufacturing and agriculture," said SGS partner Terry Rawnsley. "The closure of the Alcoa refinery in Geelong hit manufacturing, and we had drought in the Wimmera. Agriculture is seasonal so things might improve, but Melbourne is where the growth is." Driving Melbourne's economy has been a rapid growth in the financial sector and a boom in apartment building, but Mr Rawnsley says both are at risk from years of underinvestment in public transport. 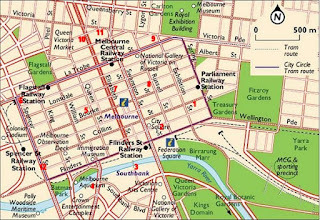 "Putting aside the regional rail link which has just opened, Melbourne's last big investment was the city loop in 1985. It expanded the capacity for people to get into the city, and the banks moved their operations to the Docklands. But by 2009 or 2011 that capacity was exhausted and the trains became extra crowded. While you can throw extra rolling stock at the problem, you really need an uplift in capacity." "Like Sydney after the Olympics, we are facing a lost decade because of infrastructure which has failed to keep pace. 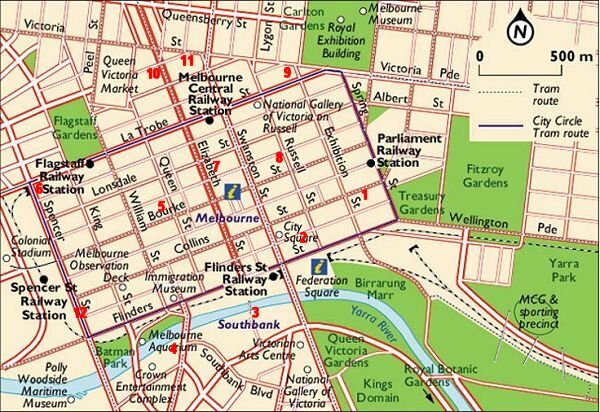 Global and national firms are likely to bypass Melbourne because they won't be able to get their workers to work. They will go to Sydney or Brisbane or Auckland instead." The 2014-15 accounts show Sydney was responsible for 23.3 per cent of Australia's gross domestic product and Melbourne 17.7 per cent. The next most important locations are Brisbane (9.6 per cent), Perth (9.5 per cent), regional Queensland (8.9 per cent), regional NSW (8 per cent), and regional Western Australia (7.5 per cent). Regional Victoria accounted for just 4.4 per cent. In order to demonstrate the different economic fortunes in different parts of Australia, SGS Economics calculates what the Reserve Bank should do to interest rates in each location to allow it to grow at its long-term potential. In Sydney the bank should lift its cash rate from 2 per cent to 3.5 per cent, in Melbourne it should keep it steady at 2 per cent, and in much of regional Australia, including regional Victoria, it should cut it to 1 per cent. The exceptions are regional Western Australia and Northern Territory where the Bank should increase rates to 2.75 per cent and 5 per cent. 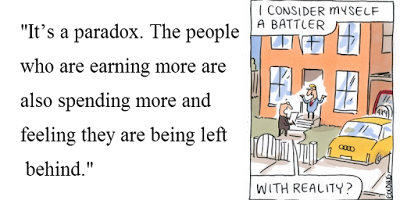 High income earners are reluctant to part with their tax breaks in part because they think of themselves as battlers, new research suggests. Two-thirds of the highest-earning households surveyed by Ipsos Australia for MLC Wealth define themselves as "middle class" or "lower middle class" or "working class". Each brings home at least $200,000, putting it near the top 10 per cent of households. Almost half (44 per cent), say they are middle class. A further 10 per cent say they are lower middle class, and 13 per cent working class. Many households in the top 10 per cent struggle to save. The survey finds one in five live "pay cheque to pay cheque", spending everything they earn. Two out of three say the cost of maintaining their mortgage is "having a big impact on their lifestyle". "It's a paradox," says Lara Bourguignon, MLC's general manager of corporate superannuation. "The people who are earning more are also spending more and feeling left behind. "It might be because they are living in the major cities, living in the expensive areas of major cities, or working so hard that conveniences such as eating out seem essential." Middle earning households were more realistic, nominating $280,000. Curiously, very low income households defined upper class in much the same way as high income households, nominating $549,000. 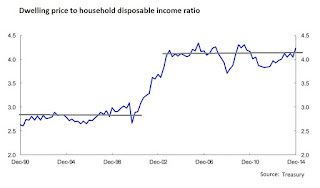 But low earning households were realistic about their own status. Four out of 10 described themselves as working class. None described themselves as upper class. Ms Bourguignon said perceptions about what constituted a comfortable lifestyle were changing. "It used to mean having access to a home, food, healthcare and schooling," she said. "Now it extends to overseas holidays, private schools and the latest technology. We have come to define comfortable as being able to do whatever we want. We have changed our perception of what normal is." Treasury is considering a universal cap on income tax deductions that would apply to negative gearing as well as employment-related expenses such as self-education, transport, union fees and work-related clothing. Arising out of the government's review into taxation, the proposal would abolish caps on specific expenses and replace them with an overall ceiling that would limit total deductions to a proportion of income or an indexed ceiling. In Britain, which adopted the system in 2012, the ceiling is £50,000 pounds or 25 per cent of income, whichever is the higher. "It means there's an upper limit. If you set the ceiling high enough, 90 per cent of the population could be unaffected while the big claims would be knocked back," said Neil Warren, professor of taxation at the University of NSW. Australia is unusual in imposing no total ceiling to the amount of deductions that can be claimed, meaning some claims exceed 100 per cent of income. Tax Office statistics for 2012-13 show 55 of Australia's highest earners paid no income tax at all during that year. 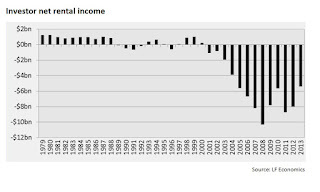 All earned at least $1 million and managed to write their taxable incomes down to below the $18,200 tax-free threshold. Although most Australians claim only small deductions, Australians with multiple negatively geared properties are able to claim large proportions of their income. While pledging to continue to allow negative gearing, Treasurer Scott Morrison told Parliament last week that the government was prepared to look at "areas where the system is being abused or areas where they are excessive". Professor Warren said harsher rules applied in many of the countries to which Australia compared itself. The United States imposes a minimum tax rate below which deductions could not reduce tax, Canada allows only specifically leglislated deductions and New Zealand allows negative gearing, but not work-related deductions. In a submission to the Parliament's inquiry into tax deductibility the Treasury pointed out that Britain much more tightly limited the type of claims that could be made. Rental losses could only be offset against other rental income. Work-related deductions had to be incurred by every holder of that form of employment. "It is not enough that one employee, or a subset of employees, happens to incur the expense," the submission said. Work-related deductions amounted to $19.8 billion in 2012-13. Rental interest deductions amounted to $22.5 billion. The cost is believed to have climbed since with the spread of electronic lodgement. In a paper being considered by the Treasury, Professor Warren suggests Australia adopt Britain's model of applying a global limit to all deductions including those related to work, health, negative gearing, the cost of managing tax affairs and gifts and donations. Figures from 2010-11 showed a cap of $50,000 or 25 per cent of income, whichever was the greater, would affect only 0.9 per cent of landlords and only 1.3 per cent of those incurring a rental loss. A lower cap of $12,500 would affect 9 per cent of landlords and 14 per cent of those incurring a loss. Professor Warren said the level of the cap would be a political decision. The important thing was to wind back excesses without affecting most taxpayers' ability to claim deductions. The most shocking thing in the Treasury analysis delivered to Scott Morrison on January 25 isn't the finding that a cut in income tax funded by a lift in the goods and services tax wouldn't boost the economy at all. It's what Morrison asked the Treasury to model. He asked it to model a lift in GST from 10 to 15 per cent and then the handing back of every possible cent in income tax cuts. Because boosting the GST automatically results in extra spending on benefits such as Newstart, family allowances and pensions as prices climb it isn't possible to give all of it back. But it is possible to hand back $30 billion of the $35 billion as tax cuts, and that's what Morrison asked the Treasury to model in the first instance, not legislated increases in benefits of the kind delivered by his predecessor Peter Costello when introducing the GST. High earning households do very well. In the top fifth, 81 per cent are better off. In the fifth below that, 80 per cent are better off. In the bottom fifth, only 9 per cent are better off. Put another way, the change makes 91 per cent of the lowest-earning households worse off. It makes 79 per cent of the next lowest earning households worse off, and 60 per cent of middle earning households better off. Morrison had asked the Treasury to model a change that enriched middle and high earners at the expense of the least-well off. And the results tell us something about the nature of the change. It appears to have been one that cut tax rates or adjusted thresholds at the top more than the bottom. All of the Prime Minister's talk about how any change must be fair appears to not have sunk in. At his request Treasury and its consultants Econtech and KPMG also did sensitivity analysis. What would happen if, say, $6 billion of the tax cuts were diverted to low earners in extra benefits? They found that the more the tax cuts were diverted to benefits, the worse the economic payoff. Econtech found the payoff turned negative. KPMG found it was positive but got weaker the more low earners were compensated. Morrison will make much of the finding in a later Treasury brief that doing nothing and allowing bracket creep to push people into ever higher tax brackets is is set to take 0.35 per cent from GDP over four years. But tax cuts funded by a hike in the GST wouldn't have halted bracket creep, they would have postponed it. And during the time they postponed it, the projected budget deficit would have swelled. Morrison will be able to deliver income tax cuts, but they will be smaller, funded by a tightening up of superannuation and other tax concessions. There's no realistic prospect of tax cuts being funded by slashing government spending. Treasury believes that at the moment the economy couldn't stand it. Cabinet ministers believe that spending cuts of the size needed to pay for big tax cuts just aren't possible. 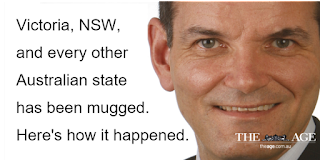 Victoria, NSW, and every other Australian state have been mugged. Here's how it happened. The Coalition came to office in 2013 promising to continue to properly fund state hospitals and schools. It left the impression the commitment had no expiry date. Then in its first budget it abandoned funding some state programs (encouraging the states to continue them "at their expense") and announced that from 2017-18 it would lift hospital and school funding only in line with population growth and inflation. Think about that. Population growth is 1.7 per cent in Victoria and 1.4 per cent in NSW. Inflation is 1.7 per cent. Combined, they are about 3 per cent. But the costs of running hospitals are soaring. In the past decade they've jumped 7.2 per cent a year. What are the states supposed to do? Not pay those costs? Limit spending growth to population plus inflation, even though the cost of wages and medical technology is growing much faster? Or are they supposed to find more money. In the days immediately following the budget, then treasurer Joe Hockey seemed to have an answer, or at least a wink and a nod. Asked whether the states should raise more tax, he replied: "Well, that is a matter for them because they do run the schools and hospitals." He had made his budget better by making theirs worse, and he expected them to do something to make up the difference. Asked specifically whether they should push for an increase in the GST, he replied that that was up to them. "They get all the money from the GST. If they want to change it, they've got to argue for it," he said. Two of them did just that. Mike Baird in NSW and then Jay Weatherill in South Australia argued for an increase in the GST to continue to properly fund their schools and hospitals. His replacement changed the script. "If the proposition was that you should increase the GST to give the states a bucket of money to spend more, that has never been a proposition, I'm sure you know, that I or the government have countenanced," Scott Morrison said on Monday. "We have been very clear about that. If that is what the purpose was, then that has never been something the government has really given any comfort to," he said. Which leaves the states in an awful hole. The Feds have ripped $80 billion out of their budgets over the next 10 years: $50 billion out of grants for hospitals and $30 billion out of grants for schools. Each year the shortfall will grow, unless the cost of medical technology suddenly plateaus or schools become less ambitious. The most obvious means of maintaining standards, the so-called states tax, has been pulled out from under them. Victoria's idea of a hike in the Medicare levy won't fly either. The Feds won't permit an increase in the total tax take. Which leaves the states desperate for taxes they can raise all by themselves. At the moment, they are doing all right. The extraordinary boom in Sydney and Melbourne house prices has earned them a fortune. In the past year prices in both cities have climbed 11 per cent. But in the year ahead the BusinessDay forecasting panel expects only 2 per cent for Sydney and 2.8 per cent for Melbourne. Stamp duty will no longer fill the gap. The ACT is weaning itself off, phasing out stamp duty over 20 years and phasing in an annual land tax charged as a top-up to municipal rates. When in, it will be able to lift it at will. Land taxes are next to impossible to escape. Home owners can always sell and move interstate (where they will be hit by stamp duty) but they will be replaced by others who will buy. One of the unusual properties of land taxes is that they actually depress land prices. The higher they are the less likely home buyers will find properties out of reach. Land taxes are >only one of five taxes graphed in the Treasury's tax discussion paper that do no economic damage whatsoever. At the other end of the scale, stamp duties do 80¢ worth of damage for each dollar collected. The states get it. South Australia is experimenting with a land tax by progressively upping what it calls its "emergency services levy". But a full-blown land tax would have to be phased in. Otherwise someone who had just paid, say $50,000 in stamp duty would find themselves also paying the land tax that was meant to replace it. The change mightn't phase in quickly enough to get the states the money they will need. Which leaves payroll tax. Removing all of the exemptions would raise the states a fortune. To stop businesses moving interstate to escape it, they would need to band together and act at once. Payroll tax isn't quite as good as the goods and services tax because it falls on only Australian products instead of Australian products plus imports, but it's a lever the states could actually pull. And death duties. Until the mid-1970s all the states charged them. Applied to only the 0.3 per cent of families with assets of more than $10 million, they could raise billions. The US and Britain charge 40 per cent. The states have to do something. Their citizens want properly functioning hospitals and schools. Of all the questionable claims in the tax debate, the biggest is that it's been a debate. Instead we've had Bill Shorten standing in supermarkets wrongly asserting that the government is planning to increase the GST, and for the most part the government saying nothing. Even the Treasurer Scott Morrison hasn't made the case, apart from to say that pushing up the GST would be a bit like turning back boats, and that if the proceeds were used to cut income tax, fewer people would suffer bracket creep. Bracket creep is the lowest it has been in decades, because wage growth is the lowest it has been in decades. And in any event, if bracket creep was high, tax cuts funded by a higher GST would be only a temporary solution. As it continued there would be a need to lift the GST again. These points haven't been made much in the debate because there hasn't been a debate. We were meant to have one after the Treasury released its green paper setting out options and the arguments for and against. After the government picked its preferred option it was going to produce a white paper setting it out in concrete terms before putting it to an election. The Prime Minister has confirmed there will be neither a green paper nor a white paper, and by implication neither a green paper nor a white paper in the related federation review which was meant to be conducted in tandem with the tax review. Without a comprehensive review of the kind that preceded the introduction of the GST or Labor's changes to mining tax, it'll be hard to sell a big change. But not impossible. The biggest changes are likely to involve superannuation. The government will need to finalise its position quickly and start explaining it very carefully. 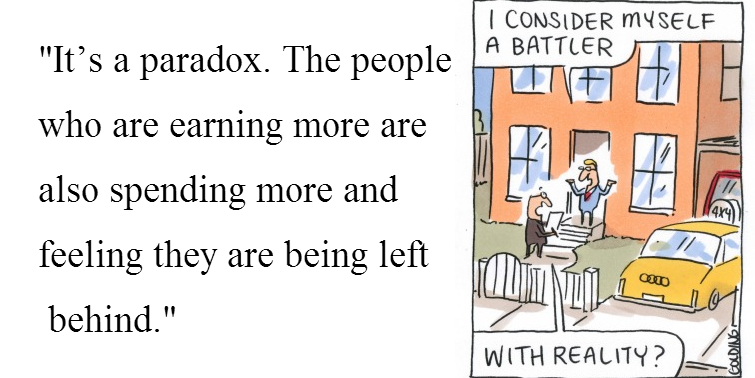 What would you rather do without: the internet, or airconditioning? Here's another one. What would you rather give up: smartphones, or plumbing? They're questions that go to the heart of the myth at the centre of Malcolm Turnbull's Australia Day speech – that we live in "the most exciting time in human history". According to our technologically-savvy Prime Minister "there has never been such rapid change". Really? Try telling that to your great-grandparents. In the late 1800s families bathed in tubs in the kitchen, often the only heated room in the house, after carrying in buckets of cold water and heating it by an open fire. They washed once a week if they were lucky, and in some cases once a month. Yet within decades, by 1940, they had running water and heating in every room. So says US economist Robert J. Gordon in an impressive, and somewhat depressing, new tome entitled The Rise and Fall of American Growth. Gordon says not a single urban home was wired for electricity in 1880, but by 1940 nearly 100 per cent had mains power. By 1940 94 per cent had clean piped water, 80 per cent had flush toilets, 73 percent had gas for cooking and 56 per cent had refrigerators. Houses went from being isolated to being networked, "most having the five connections of electricity, gas, telephone, water, and sewer". Compare that to the changes we are living through now, the ones spruiked by our Prime Minister. Gordon says until 1970 progress was broad, encompassing electricity, the internal combustion engine, health and networking. Since then it's been mainly in entertainment and communications. And its been evolutionary rather than revolutionary. By 1970 television was old. Even our family had one. Since then we have had a move to colour (something that happened earlier in the US) and a move to both larger and smaller screens. By 1970 telephones were ubiquitous. That's when my family signed up. Since then they've become more portable, but they function in the same way. Computers are improved typewriters, email functions as a fax machine, and the internet as an encyclopaedia. "By 1970 the kitchen was fully equipped with large and small electric appliances, and the microwave oven was the only post-1970 home appliance to have a significant impact," Gordon writes. "Motor vehicles accomplish the same basic role as they did in 1970, albeit with greater convenience and safety. Air travel today is even less comfortable than it was in 1970, with seating configurations becoming ever tighter and long security lines making the departure process more time-consuming and stressful." His graphs are shocking. They are rainbow-shaped. They show that in the 50 years before 1920 output per person grew at an annual rate of 1.8 per cent. For one glorious half-century between 1920 and 1970 it grew at 2.4 per cent, then it fell back to 1.8 per cent where it has been for the past half-century. The graph on effort is U-shaped. Before 1920 working hours per person rose. Between 1920 and 1970 they fell rapidly, and now they are climbing again, more quickly than they did before the glorious half century began. It's as if the promised future didn't happen. Peter Thiel, the founder of PayPal, put it this way: We wanted flying cars, instead we got 140 characters". There's a counter argument, one I find intuitively attractive. It's that new developments feed on other new developments to create game-changing transformations such as the driverless car or 3D printing. But they are not showing up in the figures. The US economist Robert Solow famously quipped in the late 1980s that he could see the computer age everywhere but in the productivity statistics. He was briefly wrong – productivity growth did climb for a few years, but then it fell back down. Moore's Law – the rule of thumb that said processing power would double every two years – has been failing to keep pace for a decade. In recent times it has taken four to six years for processing power to double. Gordon's point is that should neither surprise nor worry us. Humanity's big advances were awesome. 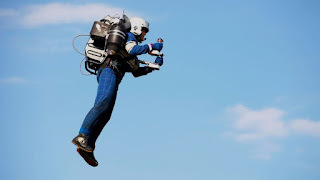 Whereas as all of us could quite happily travel back in time 50 years from today and enjoy a recognisable lifestyle, that wouldn't have been possible if we travelled back 50 years from the 1940s. But those advances have already happened. They can't happen again. They made us better off, forever. We're living in that forever. Of all the daft analogies. Scott Morrison says fixing tax is like turning back boats. "I have had a bit of experience with this," he told a Canberra press conference this week. "I remember before the 2013 election, turnbacks actually had lower levels of support in the Australian community. It's important that when you believe that something's right for the country, that you remain focused on that." Here's what's different about tax. When you turn back boats, you know what you are trying to achieve. When you attempt to change the tax system, you are without a clear goal unless you set one first. A 15 per cent GST might well be the answer. But it's impossible to know without knowing the question. The question was muddled from the start. Here's how Tony Abbott put it during the 2013 election campaign: "Well within three years, a tax white paper will have canvassed how we can have lower, simpler, fairer taxes for higher economic growth and better and more sustained services." That's five points, a bit like the arrow-covered pointless man in the Harry Nilsson film who concedes that "a point in every direction is the same as no point at all". No matter. Over time the objectives were to be sharpened in a discussion paper, then a green paper setting out options, and finally a white paper detailing the preferred option. We were to be given something to measure the final proposal against. Except that the Abbott government fell apart. The treasury had the discussion paper ready to go at the start of December 2014. Abbott sat on it for four full months as he dealt with a string of crises, among them the loss of the Victorian state election, the ill-advised knighthood for Prince Philip and a challenge to his leadership. By the time it was released at the end of March there was precious little time for submissions and the production of the green paper due that year. 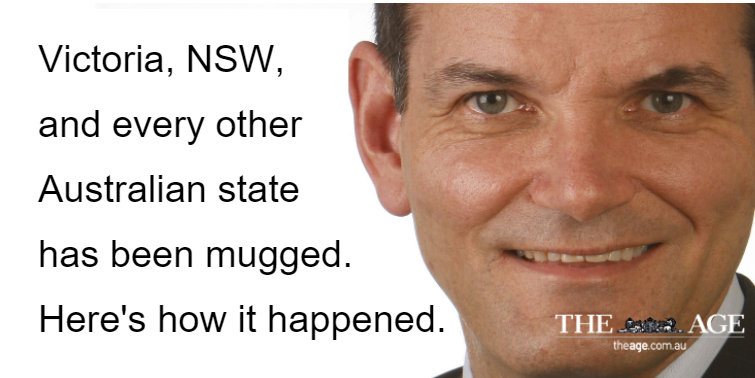 And Abbott started ruling things out. Superannuation wouldn't be touched. It's the biggest tax break there is after the family home. But Labor had proposed touching it and Abbott wanted a point of difference. Negative gearing wouldn't be touched. Labor had talked about touching that. To their credit they have put everything back on the table and they are talking to lobby groups. Morrison says he has fostered "quite a real debate out there in the community, among policy makers, in private and public sector alike, the various groups". "I mean, we have the current arrangement, which says there would be a green paper and a white paper. But what the debate over the last three or four months, I think, has shown is, in many ways, the public [has] moved beyond that," he says. "We've advanced the debate I think a lot more effectively over the last four or five months than a green paper ever would." That's rubbish. Without a clear objective, a 15 per cent GST can seem like the answer. Morrison has become a fan. The treasury isn't. It has calculated that compensation would end up costing "at least half of the extra GST revenue". And that's if it could be delivered. The much higher tax-free threshold these days makes it difficult. If the objective is fairness (something Turnbull is very keen on) a GST hike won't cut it. It would hurt low income households much more than high income ones, which is why it would require compensation. If the objective is economic growth, treasury's own graph presented in the discussion paper shows the GST to be no less damaging than an idealised income tax. Deloitte Access Economics says in the real world a switch would bring some benefits, but they would be small, dwarfed by those of other proposals such as swapping stamp duty for land tax. And even those wouldn't be big. Overseas evidence suggests that even the best tax switches don't do much for economic growth. If the objective is revenue, a 15 per cent GST most certainly would help. But Morrison insists that's not his objective. He says he doesn't want to lift the overall tax take, even though that's precisely why premiers Mike Baird and Jay Weatherill want an increase in the GST. Examined dispassionately alongside other proposals such as a uniform payroll tax, a land tax, a tightening of superannuation tax breaks and a cut in the company tax rate, a GST for income tax swap wouldn't achieve much. But Morrison isn't that interested in dispassionate evidence. On Monday he dissed the economic modelling that supported a cut in the company tax rate saying "the sad thing about economic models for those who run them is that they're not perfect and they can't predict the future". Like a shark preparing to attack, he is closing his eyes. Turnbull meanwhile has pointedly refrained from pushing the idea of a 15 per cent GST. He genuinely hasn't made a decision and he is quite prepared to leave his treasurer out on a limb. Expect the treasurer to be reined in and expect the Prime Minister to consider the evidence and work out what actually works. What's left to reform if Scott Morison's push for a GST hike goes south? Lots. The really big money is in superannuation. A switch to taxing contributions at marginal rates rather than the present flat rate of 15 per cent would raise an extra $15.6 billion per year, about as much as would be left over from an increase in the GST after compensation. It's enough to buy substantial income tax cuts or properly fund hospitals and schools in line with the wishes of the premiers and leave money over for company tax cuts. If the government didn't want to remove the concession altogether, it could tax contributions at marginal rates minus 15 per cent, raising $6 billion per year. It could rightly claim to be going after high earners harder than Labor, which had the best part of a decade to fix the unfair super tax system it introduced and came up with something more mild. The biggest economic boost would come not from a switch from income tax to GST but from a switch from stamp duty to land tax. To get it the Commonwealth would have to knock together the heads of a few state premiers, but according to the the discussion paper that kicked off the tax reform process, it's where the big gains lie. Capital gains are taxed at only half the rate of income earned from interest in bank accounts. The discussion paper asks whether that's appropriate and talks about taxing all income from saving at the same (discounted) rate. Fringe benefits tax, employee deductions, business deductions, dividend imputation and the role of the family home all come under the microscope in the discussion paper. Getting the GST off the table would allow the government to focus on fixing what's really broken.